Now what would Autumn be without some punkins, hey? Well it sure wouldn't be Autumn for me! 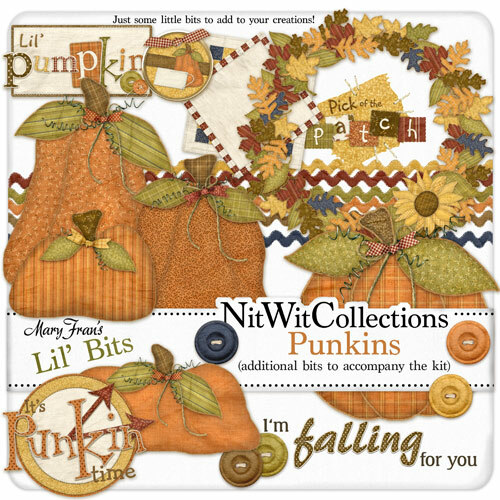 Here are some pumpkin "Lil' Bits" that are great little additions to my "Not Far to Fall" Fat Quarter Bundle kit. Yup, just some lil' somethin's to add to your layouts!